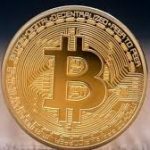 The opposing view is that Bitcoin is not a currency and therefore not contemplated by these regulations. That question, after four years in the courts, seems to remain up in the air. While cases have been successfully prosecuted under the theory of the DOJ’s interpretation, at least two judges have disagreed. One pointed out that Bitcoin is not tangible wealth backed by a government or a bank, it cannot be hidden under a mattress like cash or gold; the other found it akin to Beanie Babies or Pokémon cards with a volatile value assigned to it by the holder or trader. While we await the ultimate legal definition of cryptocurrencies, exchangers who knowingly transmit Bitcoin to criminals can expect to be charged. This is not surprising; the squeaky wheel typically is the first to get charged. Of the cases mentioned in the many articles covering cryptocurrency prosecutions, without exception the individuals charged admitted to knowing that the funds they were exchanging for coin were proceeds from or otherwise related to criminal activity. Perhaps this is why there is such a delay in refining the definition of Bitcoin and others as currency. The individuals prosecuted are answering for multiple crimes. It’s unlikely that until that changes, if it does, that we will see a clear set of decisions from the courts either upholding or questioning the DOJ interpretation. As the so-called “crypto winter” continues, the use of digital currency should continue outside the mainstream. After the boom of 2017, the popularity of crypto-currency has waned through 2018. While large retailers and others may be slow to adopt digital currencies, this is unlikely to impact the importance of anonymous currency to illicit enterprises. In that sense, we may see an increase in prosecution of digital currency managers even as the general popularity of those currencies declines. If anything, it may force those managers into increasing contact with law enforcement as their potential for legitimate output lessens. Surely this is not the end of the story. As a fan of sci-fi (when the day comes that I can pay in “units” I’ll be truly happy), I cannot imagine a future that doesn’t abandon traditional monetary systems. If the current iteration of cryptocurrency is a bust, what will tip our financial practices to the digital domain and how will our conventional legal conceptions affect that process?